My law practice is devoted to defending companies, nonprofit organizations and educational institutions in employment-related litigation, including cases alleging wrongful termination, discrimination, harassment, retaliation, wage and hour violations, breach of contract, trade secret/unfair competition, and other workplace misconduct. I handle single plaintiff, class action, and private attorney general action cases. I also dedicate a significant portion of my practice to consulting with employers in order to help them avoid litigation. I routinely prepare employee handbooks and employment-related contracts and policies, and offer proactive training programs on unlawful harassment and best management practices. I am a founding partner of Andrews, Lagasse, Branch & Bell LLP, a 100 percent female and minority-owned firm. Prior to starting our firm, I was a partner at one of California's largest law firms, where I practiced in its employment department. I am honored to have been repeatedly selected by my peers as one of the Top 25 Women Lawyers and Top 50 Attorneys in San Diego, and included on the list of San Diego Super Lawyers. I’m also proud to have been recognized as one of San Diego's Women Who Mean Business. 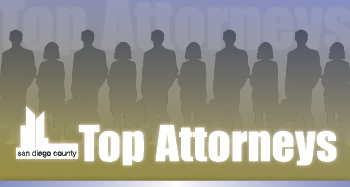 I‘m also honored to be a repeat recipient of this Top Attorney honor. I am a member of the San Diego County Bar Association’s Labor and Employment Section. I also volunteer as a judge for the San Diego Teen Court Program, a diversion program that works in association with the Juvenile Court, and I am a member of the National Association of Women and Minority Owned Law Firms. I regularly lecture on employment-related topics, including leave laws, best management practices, and prevention of workplace harassment, discrimination and retaliation. I also work closely with risk managers from private companies and insurers to offer training and pre-termination consulting geared toward the reduction of claims. I am the proud mom of three beautiful elementary school-age children who keep me on my toes whenever I am not practicing law. I spend much of my weekends cheering on the sidelines during their many sporting events. In all my extra time, I enjoy swimming and biking.